Yep, that white stuff on the ground was snow this morning. Winter is definitely on it’s way, and you can embrace it this weekend by watching a Sled Dog race! The Great Lakes Sled Dog Association members are gearing up for a busy season. On November 10 and and 11, teams will race in Harrietta at the Lost Pines Lodge. Matt Woudenberg is the race chairman and says that it’s an event that is exciting to watch for all ages. 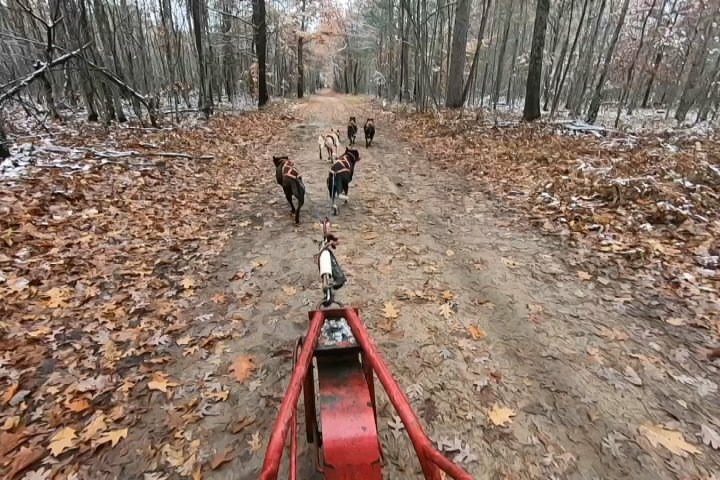 Trainer Ron Hnuchik has been racing dogs for 40 years and travels from Ontario, Canada, down to Grand Traverse County and beyond and is getting excited for the cooler temps. He says that his dogs are a certain kind. The dogs will be racing in different pairings and arrangements. If you want to go to the race, find more information at glsda.com.